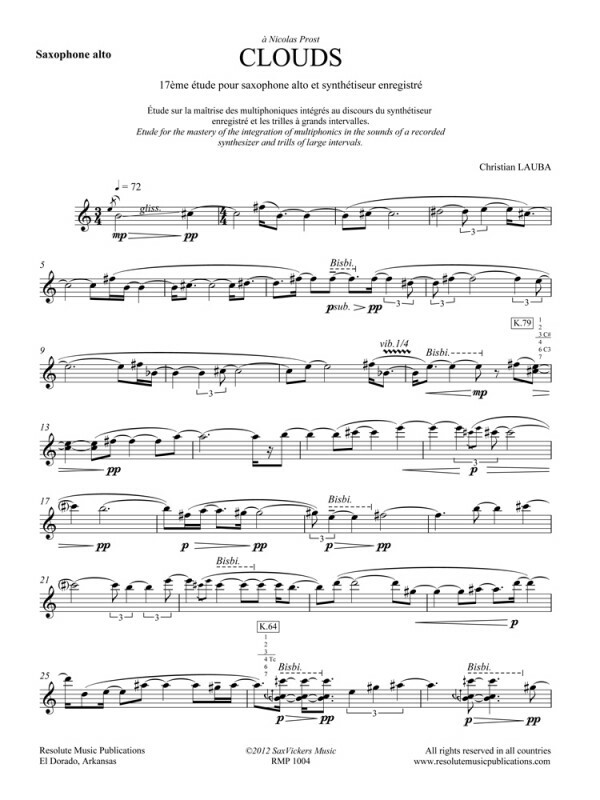 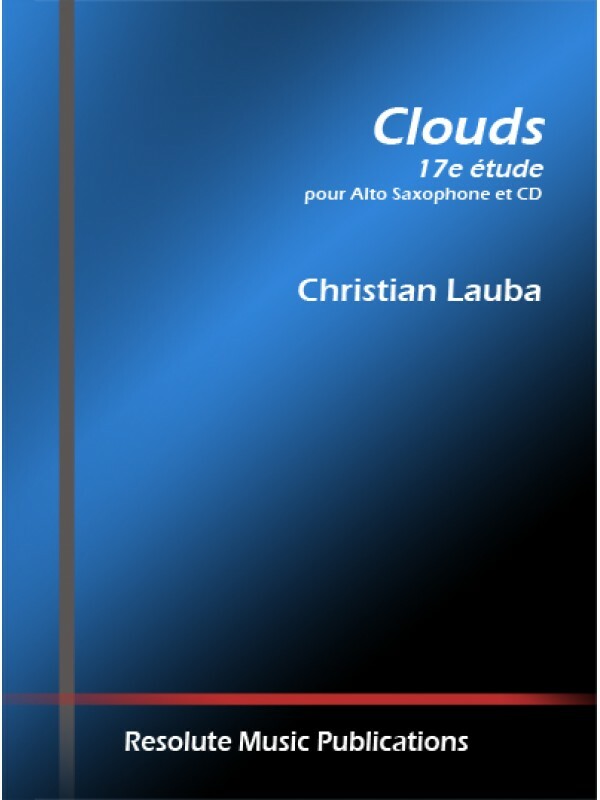 Dedicated to Nicolas Prost, Christian Lauba's 17th concert étude Clouds is for alto saxophone with CD accompaniment. 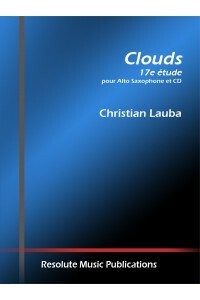 The background track was originally titled Mist, a synthesized track from saxophonist Richard Ducros' CD titled Hard. 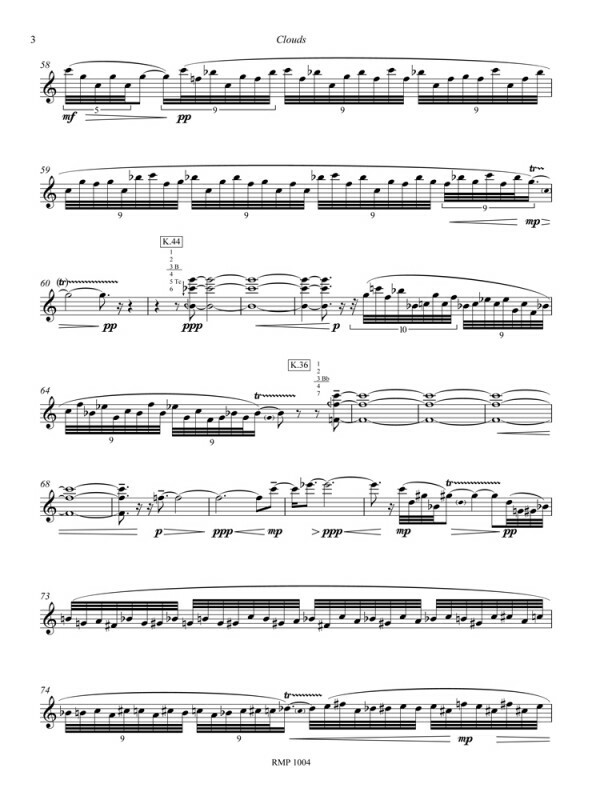 The étude requires multiphonics, bisbigliandi (including those on multiphonics), a great deal of technical virtuosity, and altissimo.